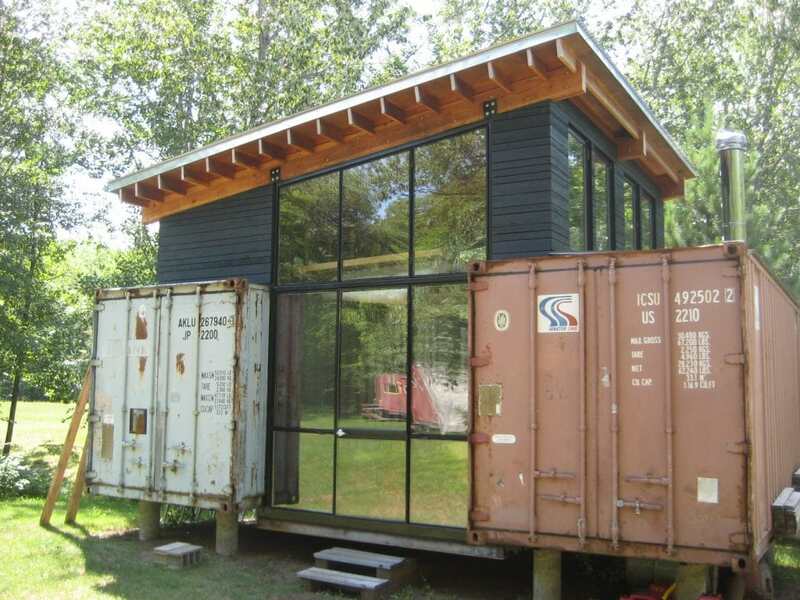 Shipping containers are changing lives in ways never imagined. Normally, when you think of these containers, it’s not uncommon to envision large containers being stacked on boats going from one port to another. But their role has now been forever transformed with the metal prefab & tiny house movement. 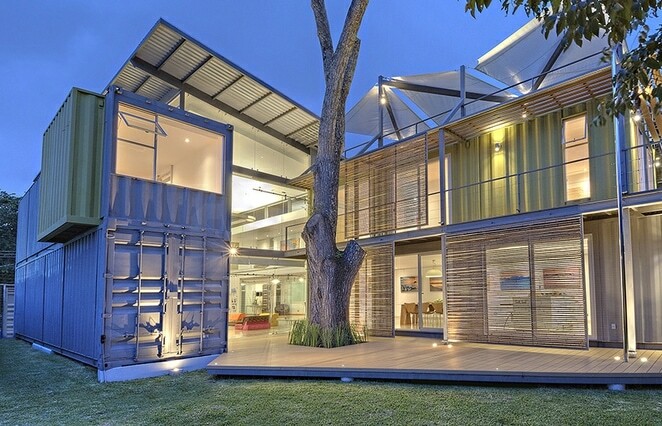 Shipping containers are studier, less expensive and are now being transformed into homes. It’s a trend that is helping potential homeowners buy homes, live without having to pay rent and enter a new trend that is most cost-effective. 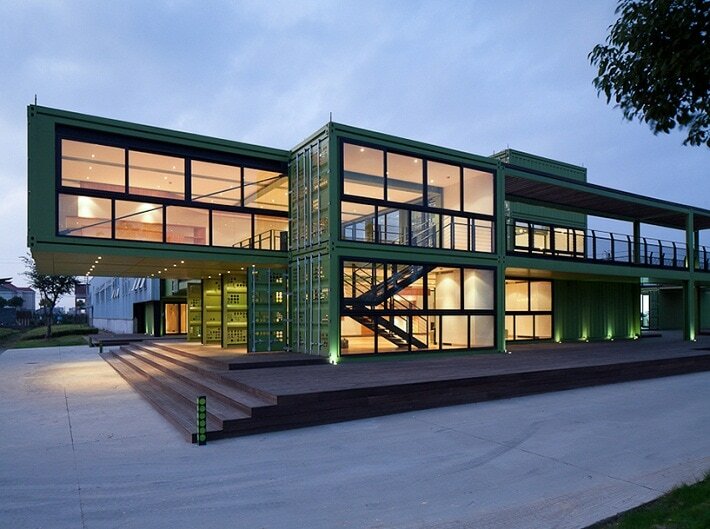 What Type Of Shipping Containers Are Ideal for Home Use? New containers are always best, but being cost prohibitive, you may price yourself out quickly. Of course, you don’t want a container that is too old and has traveled across the globe for years. 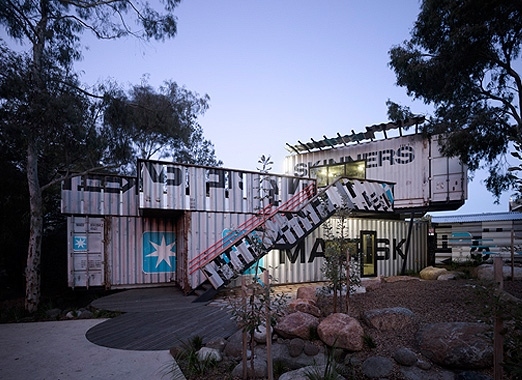 There is a happy medium, for lightly used shipping containers. Often referred to as ‘one trip’ shipping containers, this is the sweet spot for getting the best pricing possible. The trick is in finding ‘turn key’ company that offers mildly used containers – all cleaned up and in good structural condition – that can deliver them to you directly. You also want to find quick distribution with any turn-key service that can arrange for professional transportation. When deciding which container to purchase, the key most important factor is the container grade. The grade of the container will tell you what you can expect from the quality of the container. There are really four main types of shipping containers for sale, and each type offers its own benefits to the buyer. We’ll start with the two most common shipping container options for homes, and the last two listed will be less common models used for homes. One Trip containers are your “lightly used” options. Consider these containers your “brand new” containers. What One Trip really means is that these containers have transported one load of cargo across the ocean. They’re practically new, yet they’re far cheaper and have only been used once. When choosing this container, they will meet all of the industry standards for cargo containers that has been set by the Institute of International Container Lessors. What’s nice about one trip containers is that there are no surprises. You know exactly what you’re getting in a container. There are no shipping labels, and the entire container has been manufactured and painted in a controlled environment. Often coming in blue, beige, tan or grey, these containers have not been painted with the traditional bright colors. While cost prohibitive, these are the best containers for the price. Premier containers are your refurbished containers, and they’re models that have been retired from normal use and repaired. Oftentimes, these containers remained in use for 5 – 15 years before they made it to the refurbishment stage. Dents and dings are minimal, and the exterior of the shipping container has been completely repainted. Cost is the biggest benefit of the Premier model because it is cheaper than the One Trip models. But they still look and function extremely well. The containers are brought back to such a state that they can be put right back in the water. You’ll find Premier shipping containers with the same size options seen in the One Trip models. 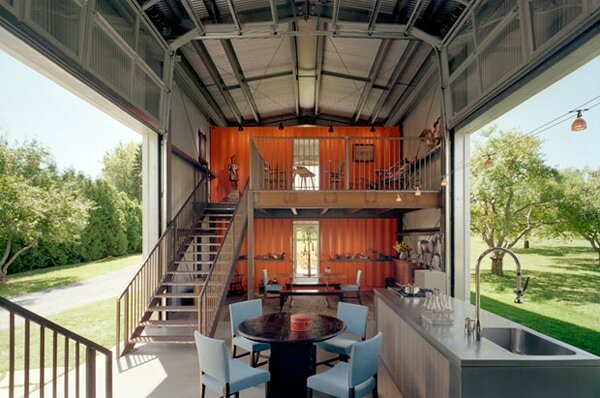 Cargo Worthy containers are not what you will find in modern container homes. While these containers can still be placed on a boat and will hold cargo just fine, the exterior likely has rust, dents and dings that are apparent cosmetic flaws. When cosmetics matter, the One Trip or Premier options are truly the best. Cargo Worthy models, or CWO, are containers that are ideal for storage or export, but they’re not the best option for a home. These models are wind and water tight, but they’re also “newer” models that may be in use for years. They’re still newer than the wind and water tight class of shipping containers. 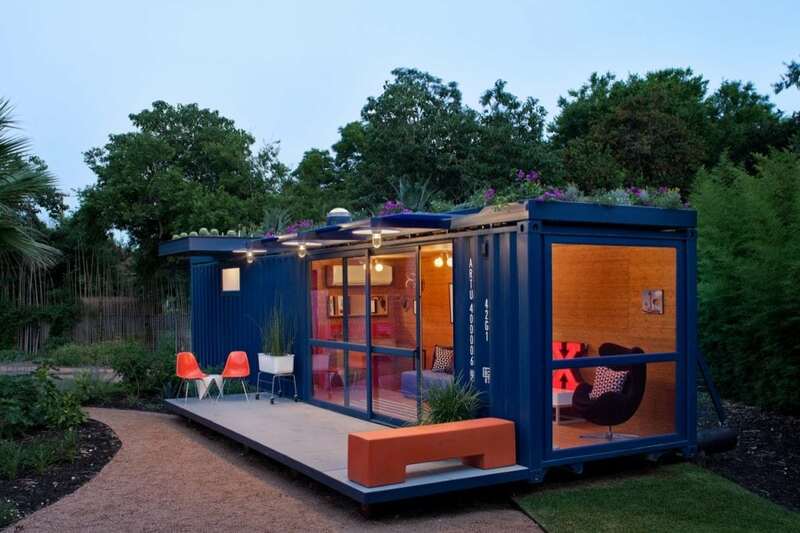 CWO containers are often not used when buying a shipping container to turn into a dwelling or even an office. These containers are cosmetically flawed, and while someone with a lot of experience and time may be able to refurbish these models for home use, it’s generally more cost-friendly to go with one of the first two container types on our list. Wind and water tight shipping containers fall into the same category as your cargo worthy models, but they’re generally older. These models may suffice for shipping and trips on the ocean, but you can expect a decent level of rust, dings and paint damage to be present. 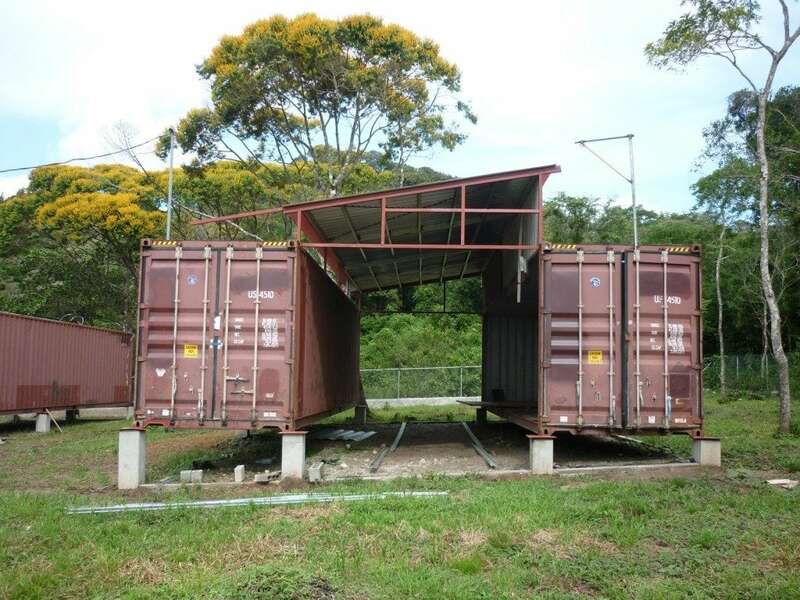 While these may be one of the cheaper shipping containers for sale, they’re certainly not one of the best options for shipping container homes. They may be fine for personal storage or used as a garage but we would not recommend using this grade for your home. How Much is a Shipping Container? 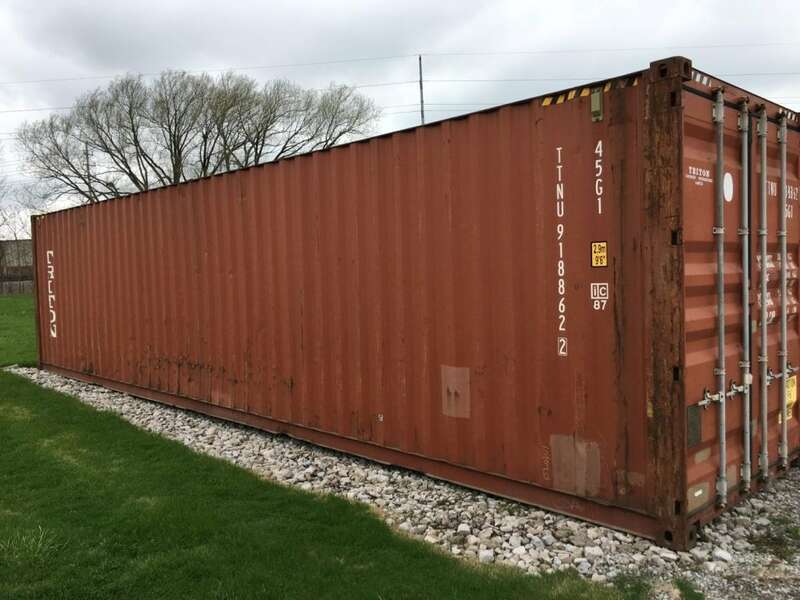 Although, shipping containers have been highly promoted to commercial businesses for many years now, the regular consumer doesn’t know much about the cost of these containers outside of the advertised retail rates on eBay.com. When price shopping, keep in mind you’ll most likely only see retail rates online. We are happy to announce the we have partnered with Quality-Containers.com in order to offer wholesale container prices to our readers at MetalBuildingHomes.org. Which is the best rate for you? This is a bit of a no brainer, as wholesale is often the cheapest in terms of pricing, but don’t let this fool you: wholesale still offers the same great quality, but just with much better pricing. We like Quality-Containers.com not only because of their nationwide footprint but because they are able to offer a deep discount because of the sheer volume of containers they move each day. We found that you can anticipate paying close to 30% less than retail containers found online. How Does Sizing Impact The Price? As we’ve seen with the different types of containers, sizes vary a lot. You’ll find containers that are 10′, 20′, 40′ and even 45′. There are numerous sizes to choose from, so this will factor into the cost greatly. If you wanted to know the average cost of a container, which may be older and more affordable, you’re looking at $2,000 at the average range. Again, these models may have rust, dents and other cosmetic issues. The large shipping containers, when you’re looking at the 40′ models, can cost $6,000 or so for a new model. When looking into used models, you’ll likely spend $3,000 to $4,000 on a 40′ shipping container. So, these are ballpark figures that vary greatly, but they can help you get a general idea of how much these containers will run you. And if you’re using these containers as a home, you’ll need to make significant modifications to them. In general, the costs will run you the same as building a home for the flooring, windows, etc. But the modifications to the shipping container are far less expensive than actually constructing a building from scratch. Keep in mind that a traditional 20′ container will be around 160 square feet and a 40′ container will offer somewhere along the lines of 320 square feet. Quality-Containers.com will offer assistance with the modification process when available. There are also a lot of examples on what others have been able to do with the shipping containers sold through the vendor. Where Can I Buy a Shipping Container Online? We highly recommend that you start your search with Quality-Containers.com. Why? All of their containers are thoroughly inspected, they offer the industry’s best shipping with a nationwide footprint and quick distribution. 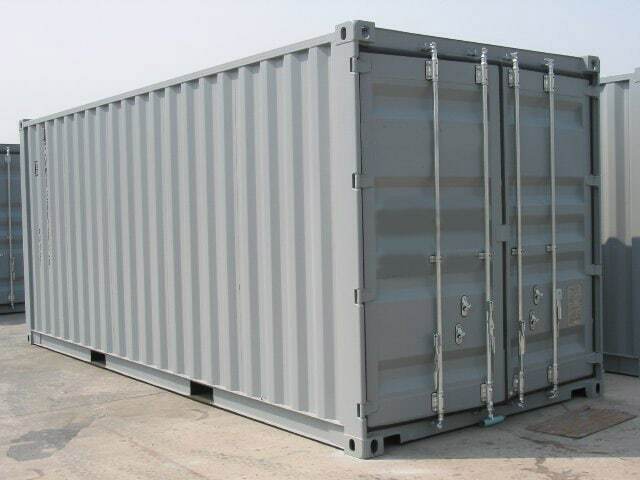 Quality-Containers.com is also highly trusted and negotiates the best prices for transportation. A leader in the industry, transportation prices are discounted and passed on to the consumer. They’ll even provide an accurate shipping quote. Containers are delivered right into place, so there’s no need to move them. You also have the option of picking up the container yourself, or arranging your own form of transport. The company will happily load the container onto your vehicle to ensure that it’s properly fastened and secure. Modification services are also offered in certain locations, such as Los Angeles, Dallas and Oakland. These services are in place to help transform your vision into a reality. The company will assist consumers in these areas to help them transform their steel boxes into the vision that they have, whether it be for housing, workshops or even hunting cabins. It’s a one-stop operation that offers wholesale prices without the need to buy in bulk. We have a simple form for our readers that you can use to get wholesale pricing. Quality-Containers also offers a quality guarantee. All purchases are guaranteed to offer a container that meets the container grade offered. That is, if you order a Premier container, you’re guaranteed that a Premier container will arrive at your door. Please note: You will still need to work with a local contractor and/or architect to finish your container home. 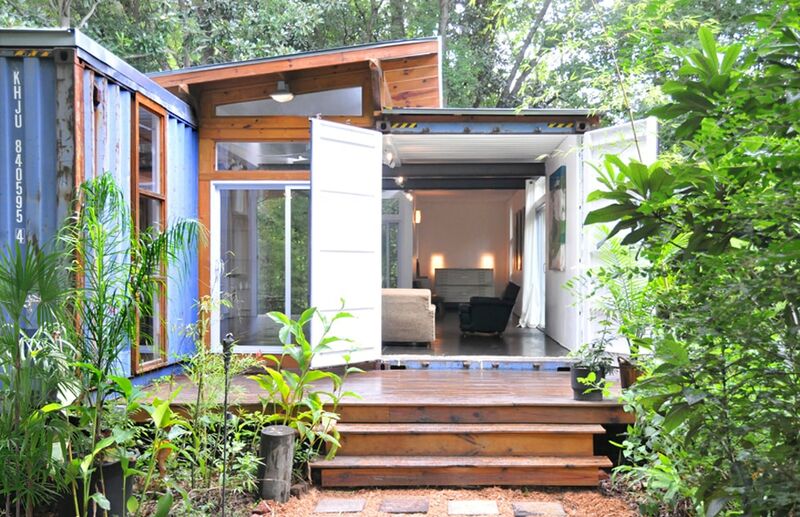 You can read more about our favorite container home builders here. In the past, locating a reliable vendor for shipping containers was the biggest hurdle for building. We are happy to be able to help reduce this hurdle and offer a professional company you can rely on to find you the best quality and pricing on shipping containers for home use.